so good! have to do the same! mmmm your home looks so nice. no hurry! and thanks already! so nice! 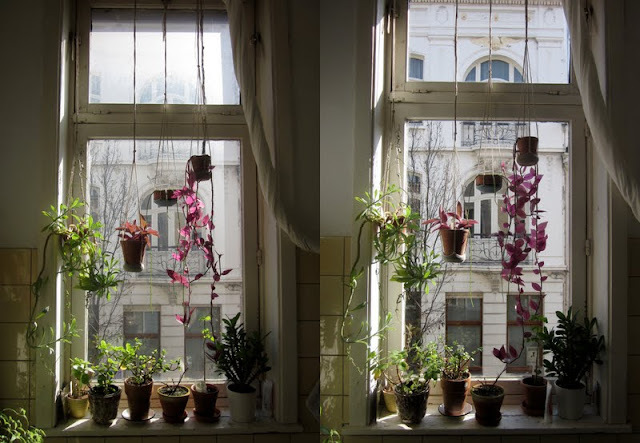 I found your blog via mieke willems blog, and it is very nice up here, the hanging plants are just wonderful. Andrea, really love those hanging plants. Did you make the construction (the little nets) yourself?